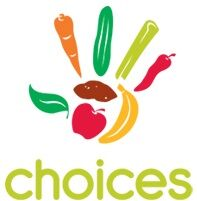 About our Company: The scrumptious, savory and filling entrées at Choices are influenced by traditional Latin/Mexican flavors, but the inspiration for the recipes is global. The café prides itself by offering fusion versions of modern American staples such as wraps, bowls, soups and salads, while still including ubiquitous worldly offerings such as mushroom quesadillas and insane tacos! Exotic tastes have resulted in a broad menu that embraces Latin American spices like cayenne chili and cumin, or delicacies like chipotle peppers, and even Indian and Asian essences, such as curry-enhanced or ginger-miso-infused stews.